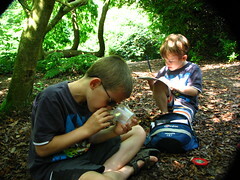 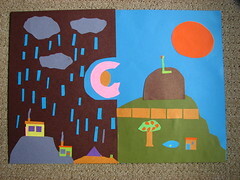 Posted by snoozerider in art, collage, home education, kids craft, printing. 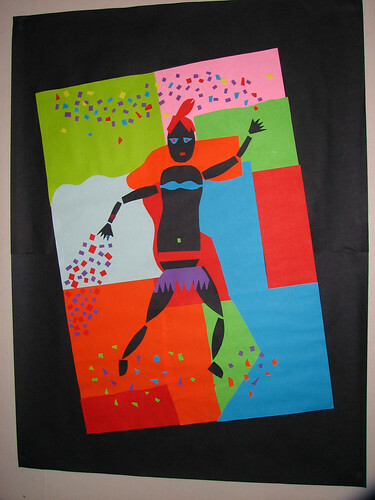 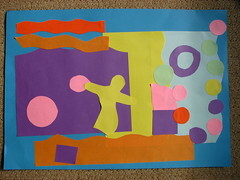 This last week, the boys have been learning about the artist Henri Matisse. 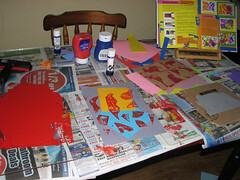 We started by reading “Drawing with Scissors” and also watched an excellent BBC documentary “Modern Masters Matisse“. 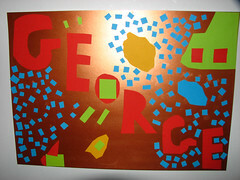 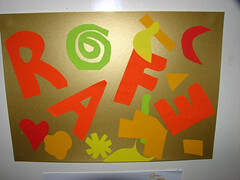 And of course, we got stuck in by doing our own art in the style of Matisse. 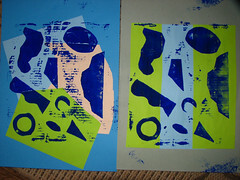 had a go at printing shapes over a collaged background (this idea from the “What’s the Big Idea?” book mentioned in this post.